Most government networks are not monitored and have no visibility to the traffic flowing in the networks. 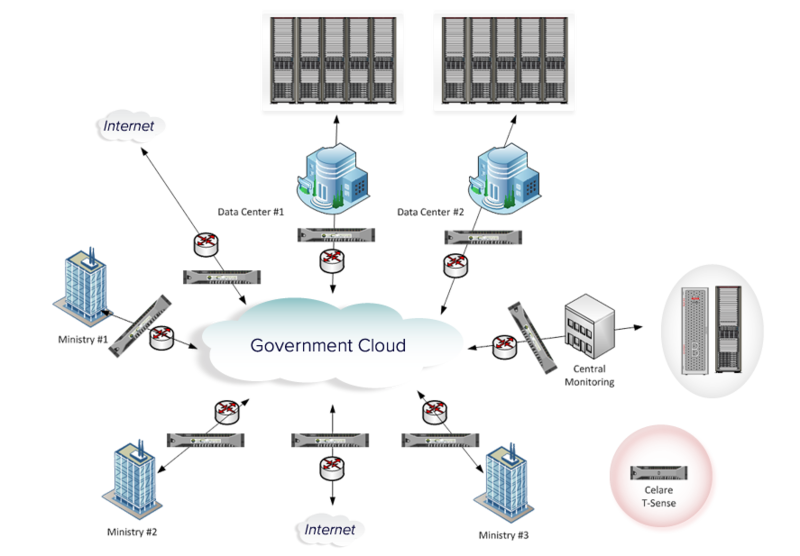 Government must improve their ability to visualize the various networks and provide full holistic network visibility. 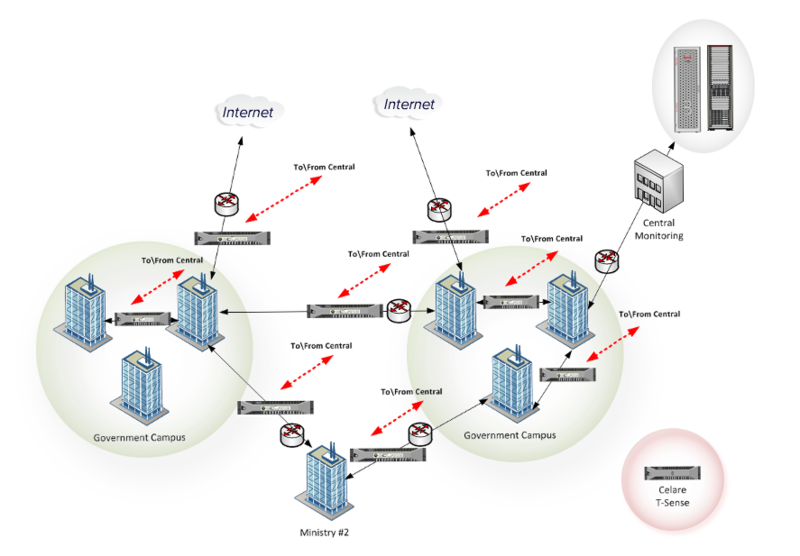 Government network topology which in most cases distributed over several campuses and internet gateways requires monitoring VPN connections between sites, to be non-intrusive from network perspective and be able to classify wide-range of protocols, extracting valuable data and manage the configuration and data flow in one central monitoring system. Celare T-Sense can be placed on critical points of the network in order to collect and monitor all incoming and outgoing network traffic per site or between sites. Then, the collected data from all campuses and sites continuously sent in a secure and reliable way to the central site for further analysis. The Central Monitoring system manages and monitors all T-Sense devices by collecting statistics, defining configurations, sending system updates, deploying new rules and patterns and supplying system health metrics and visualization. to support ministers application and services. Monitoring Internet gateways and cloud connection e.g. data centers & ministries campuses. Detection of network abnormal behavior: ministries to internet, ministries to government data centers, and data centers to Internet.